Home » Homework lists » Mask:What do you see? This is a simple question that has no right or wrong answer to it. It is merely a perspective of how you see things. We usually ask a person the perspective of how they see this mask below. 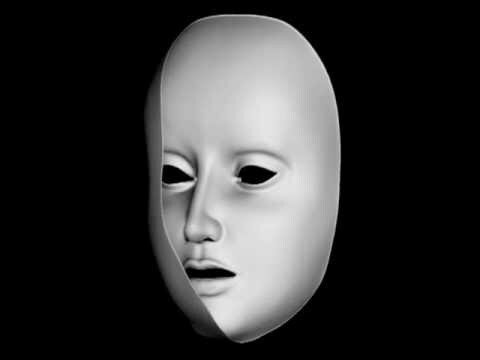 Does it appear as you are looking at a face with the nose pointing out at you or does it appear that you would be able to put the mask on your face as to wear it.